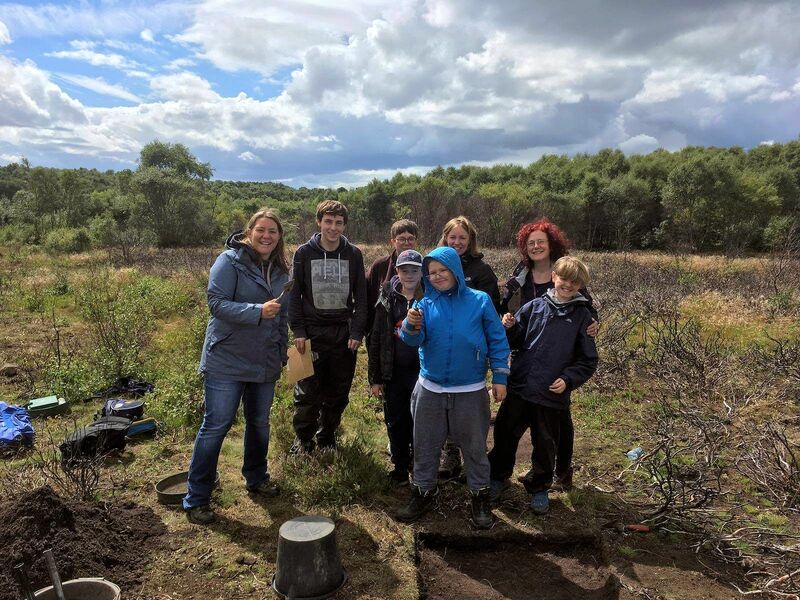 The 2017 Heritage Lottery-funded rescue archaeology excavations on the Eston Hills, Teesside, have now been completed for this first season. Post-excavation work on the scientific surveys, finds, records and digital plans is underway and our interim report is now available to read. We can say that, in the two weeks of test pit and trench work, we have finds and features of both regional and national significance! We’re aiming now at a further five-year extension, at least, if funding plans reach their goals. On this page, we present both the 2017 video, a masterpiece, and a new 2018 video which presents both our goals, findings and ambitions for the years ahead. We would all like the Eston Hills to be integrated into the North York Moors National Park for greater protection, as part of the beautiful north-east of England. Half way through the 2017 fieldwork season, archaeological film-maker Archaeosoup Productions (Marc) visited the project and, with the help of fantastic drone footage by Clive Winward, has produced this 15 minute dramatic video of what we have learnt so far in this first of hopefully many seasons ahead. Project director Adam Mead explains the context of the project, its strategy and methods. Teesside is very much on the regional and national archaeology map! This is a 30-minute presentation to a local Teesside community historical society by Adam which explains the project, why it is important, and what we have addressed in the first year. The potential, looking ahead, is exceptional, and we already have major backing from Durham University, one of the top five Archaeology departments world-wide.